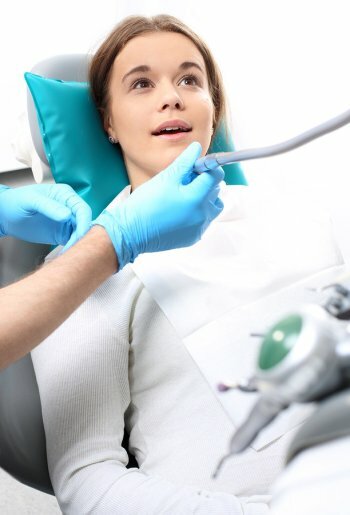 A lot of people are uncomfortable going to the dentist because they do not like the heat, the pressure, or the vibration they feel from traditional dental tools. With the WaterLase laser, though, your dentist can give you the treatment you need without this discomfort. WaterLase uses laser energy and water pressure to do the same tasks as other tools. A lot of patients do not even need any anesthetic before a procedure with WaterLase. Another major benefit of the WaterLase system is the way it can save time. Without the need for an injection, the dentist can finish your treatment faster so you can spend less time in the dentist’s chair. The dentist can even complete some treatments in one visit when they would take multiple visits with other dental tools. Using WaterLase Dentistry allows the dentist to be more precise than ever before. The laser can get rid of decay more efficiently than a drill, which gives the dentist a better chance to save viable areas of the tooth. This might prevent the need for bridges, dentures, and dental implants in the future. Since the dentist does not have to make any incisions with WaterLase, he or she can complete the treatment with less bleeding and swelling than normal. In fact, many procedures are completed with no bleeding at all. Come to Glenwood Premier Dental to see how well the WaterLase system works for you. Our office is set up with state-of-the-art technology that gives you access to some of the best dental treatments in the area. Check out our website or call (732) 847-9224 to learn more about our services.